Join us to learn more about K-12 MPS Level 3 and 4 services. We’ll talk about how to support your advanced learner in the classroom and at home, additions to the program for 2019-20, and subject and grade acceleration options. Differentiation Specialists in all MPS schools! 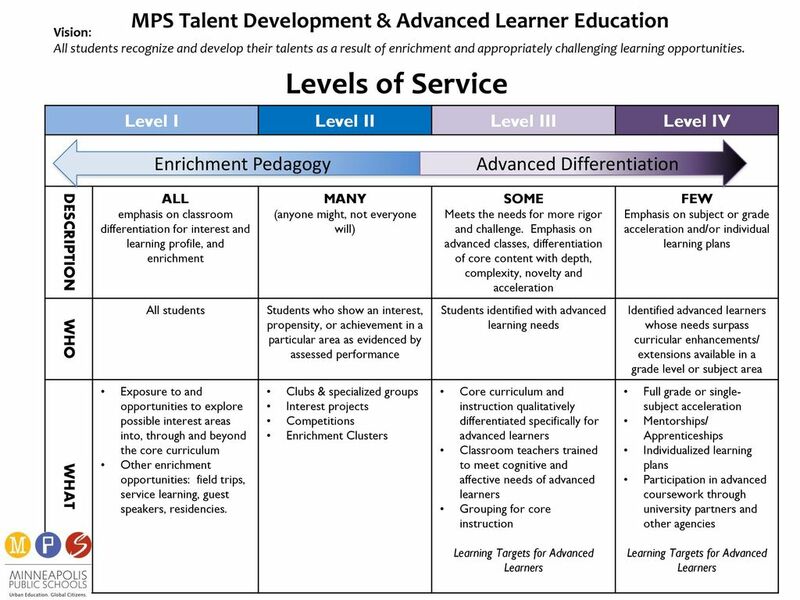 Adding Differentiation Specialists to each building and having at least one teacher per grade in every school certified in advanced differentiation practices were two of the big things our MCGT board has been advocating for with Minneapolis Public Schools. We are so excited that these changes are in the process of being implemented for our students! Elementary and middle school teachers across Minneapolis Public Schools will soon have more help catering to students of all skill levels. Starting in the fall, every K-5, K-8 and 6-8 school in the district will be able to hire a half-time “differentiation specialist” — a licensed teacher who will help meet the varying academic needs of students. The nearly $2.6 million initiative comes as the district focuses on Superintendent Ed Graff’s priorities of literacy, equity, social-emotional learning and student supports. It’s cold outside, but the search for quality summer programs begins now! Karl Bunday, MCGT State Board Member At Large, will share his knowledge of various summer programs. After the overview and Q & A with Karl, the discussion will open up to other topics, giving participants an opportunity to connect and talk about their family’s experience or to ask questions. CHAT stands for Connect, Help, Advocate, and Talk. Chat nights are dedicated to informally connecting parents of advanced learners and gifted students. Parents have the opportunity to learn of various opportunities and to share experiences and resources. NOTE: Minneapolis – PAALS sent out a questionnaire to all MPS School Board Candidates on the ballot in 2018. This was formatted similarly to the candidate questionnaire sent to candidates in 2014. Kimberly Caprini was the only candidate who responded to this year’s questions. The following are her responses. MCGT Minneapolis – PAALS does not endorse any School Board candidates. This information is provided in an attempt to aid Minneapolis voters in their ballot decisions. MCGT Minneapolis – PAALS DOES support both funding referendum questions put to voters on November 6, and urges all Minneapolis voters to support our Minneapolis Public Schools. 1) Minneapolis Public Schools promises an inspirational education experience in a safe, welcoming environment for all diverse learners to acquire the tools and skills necessary to confidently engage in the global community. What will your priorities be to support this promise being a reality for all students? What do you see as necessary for this promise to be fulfilled for the advanced learners within the district? Our students deserve the best academic experience possible. To provide the environment for our learners to gain skills needed for their future, we first need to support teachers with classroom management. Some schools’ large class sizes are causing lost instruction time and reduction in necessary teacher-student relationships. This also includes my goal to hire more Social Workers, Counselors, Psychologists and Family therapists to meet students’ needs and therefore assist in students’ educational outcomes. and advancing their educational growth. Teachers cluster students to provide instruction at the appropriate levels. The learning environment is also enhanced using methods such as the IB model (which I helped to bring to Olson Middle School), better curriculum (I’m advocating for a stronger math curriculum in elementary schools and diverse social studies curriculum in high schools), and more access to a broader range of classes like advanced classes as well as career and tech opportunities. I believe that sometimes we are too bound by the ways we measure academic growth. I advocate for teaching to the standards, not to the test. I also strongly advocate for additional funding through the referendums and advocacy to the state legislature. These priorities will all improve the learning environment for our advanced learners. 2) MPS is currently working on a new strategic vision for the district. What do you like about the vision thus far? What are you curious about? What will you challenge? I am excited that the district is reviewing its strategies and am watching the work closely. Because this is a draft, it is difficult to discuss specifics. Within the vision I appreciate the focus on a base core instruction (predictable staffing) and related increases in opportunities for students (accelerated learning opportunities and band/orchestra). I like the focus on increasing social and emotional supports. The lack of these are a barrier many students as well as the students in the classroom. Focusing on the whole child, rather than simply test scores is beneficial. I am curious about it all. So many of the goals are exciting, but the work is to define the details, which matter to the students and families. I am curious to find out if the elementary and middle schools will change format. I’ve heard there is flexibility and I would like to know how that flexibility will be implemented. I’d like to better understand how success will be measured (Will we include social and emotional data? Will we include parent satisfaction survey data?). I am staying open to learning more before I challenge it. Getting back to budget will require changes, and I’d like to reserve judgment so that I have an open mind when the plan solidifies. I am very familiar with this, as I have been a member of the district’s World’s Best Workforce 2020 Advisory Committee for several years. This committee works to understand the needs of the students and how the district can meet those needs. Student need so many skills to prepare for their future including speaking and listening, critical thinking, ….. I think hands-on experience in labs or shops are critical as well. 4) Conversations about equity and K-12 education are happening across the country. Minnesota’s federally approved ESSA Plan (Every Student Succeeds Act) includes a list of 10 Equity Commitments. Access to services (counseling, student advocates, ELL and GT services, reading and math supports, etc.) and classroom supports receive attention through an equity lens. Minneapolis schools are seeing rapid growth in cultural, socio-economic and linguistic diversity. What importance does equity have in the day-to-day classroom experiences of educators and students across the school district (primary and secondary)? What should residents of the district understand about the role equity plays in the well-being of our communities and in helping students develop the skills you identified above? Equity has a effect on students’ classroom experience. Some students do not have access to any advanced options, some students experience racism, some students have incredibly large classes, some experience frequent testing …. and some students are bored…. In secondary schools, they are frequently tuned in to social justice and may have anger about inequities they see in the world. I work to educate our Minneapolis community that some students begin far behind, do not speak English or have trauma or learning delays that need additional supports. Minnesota is rated high on our equitable funding to students with high needs, but we are still unable to provide for the high needs of many of these students. Additionally funding within the city school districts is not balanced. Keeping Minneapolis at the top of so many “best-of” lists requires that we help all students to succeed so that they can join in the workforce and help to lift our city. Struggling students may not quickly grasp the skills needed for our workforce and city engagement, but we must provide the supports to get them there. 5) Advocacy on behalf of Minneapolis School District is among school board duties. Board members need to develop strong two-way communications to build trust and support among community, board, superintendent, staff, and students. They also are responsible for addressing issues that affect education on local, state, and national levels. How have past experiences prepared you to fulfill these assorted advocacy duties as a school board member? I have spent years building strong communications with the board, through committee memberships, meetings and frequently speaking to the board during public comments at their meetings. I attend most of the district meetings and have met with the superintendent and his staff several times. I work with and for the staff in many buildings, am or have been a member of several school site councils, and read to students. I work with the community in several organizations and events. I host a few community facebook pages to raise awareness, gather feedback, and provide transparency to the MPS community. I believe communications to be one of my strong points. Specifically, I am involved with creating a path towards meeting needs for Middle Grades Sports, needed building and maintenence improvements, defining educational pathways for students (opening a middle school that pathways to North High School, bringing IB to Olson Middle School, as the associated high school, Henry, is using IB), keeping schools open that serve the needs of the community and bringing families back to undersubscribed schools, as well as advocating for budget to meet the educational needs of students. As my advocacy grew, and my relationships with others across the city, I also became aware of other needs throughout the city. I will continue to build relationships with all city stakeholders to understand all of the needs throughout the city. 6) School Board Members must be both listener and ambassador. What would you tell prospective families and/or voting community members who don’t have students currently enrolled in Minneapolis Public Schools? 7) Many families in the district have chosen to move their Advanced Learners/Gifted Students to private or charter or other districts’ schools because there is insufficient support for them within MPS. If you are elected to the MPS School Board what will you do to move the district to serve ALL students in ways that insure they will achieve academic success in an environment that challenges them to meet their full potential? While there are incredible needs that must be met to bring students up to grade-level, there are also needs to meet from the students at and above grade level. One of the equity lenses I see is meeting students where they are. I will work for smaller class sizes, a more robust differentiated (or personalized) learning environment, increased options and not repeating class material in high schools. 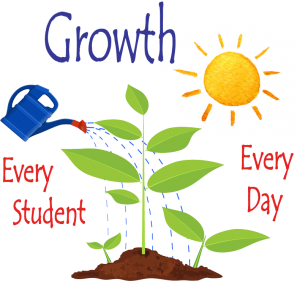 8) Where do advanced learners fit within district priorities and accountability (under Minnesota’s ESSA plan) to demonstrate year-to-year growth and to provide personalized learning for all students in elementary and secondary classrooms? Minnesota’s ESSA plan falls short in identifying the data to help districts define the work needed to attain growth for our advanced learners. They do provide services to aid school districts in identification and best practices for highly able students. I will bring attention to the needs of all students, including those that score proficient on the MCAs. 9) Why should voters consider you as they choose among candidates for Minneapolis Public Schools’ open board seats? As a leader in Northside schools for over 12 years and a member of the district’s World’s Best Workforce 2020 Advisory Committee, I am ready to represent all students and families districtwide. I strongly believe in public education and am ready to make Minneapolis Public Schools even stronger through my tireless pursuit of understanding the needs, advocating for solutions, openness and transparency. 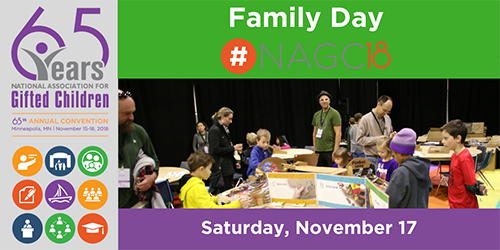 MCGT Minneapolis – PAALs is offering scholarships to attend #NAGC18 Family Day on Saturday, November 17. This is a national convention packed with fantastic speakers and resources – we are lucky to have it here in Minneapolis this year and hope everyone will consider taking advantage. Email [email protected] if you’d like a scholarship – please share widely! November 12 – 1st Chapter Meeting! Join us for our first chapter meeting of the school year! MCGT Minneapolis – PAALs will provide updates and announcements, and then Wendi Schirvar will present “Bringing the F-U….N Back into Parenting,” focusing on parenting strategies to improve bonding and compliance while decreasing conflicts. You’ll also get a chance to hear from Christina Ramsey, MPS Talent Development Program Facilitator for K-8. You’ll also get a chance to hear from Christina Ramsey, MPS Talent Development Program Facilitator for K-8. This event is free and open to both MCGT members and non-members. Please share widely! Wendi M Schirvar, Ph.D. works with children, adolescents and families with a variety of issues including asynchronous development, non-compliant and resistant behaviors, executive functioning and social skills deficits, emotional and behavior dysregulation, and learning problems. With a background in Child Development, Attachment Research, Parent Education and Educational Psychology, she brings an eclectic blend of theory and practice to her work assisting individuals and families with specific behaviors as well as parenting issues (strengthening families and redirecting difficult behaviors), testing concerns, school advocacy, educational planning and family goal setting. She has a particular specialty with developmentally advanced students and their families and is the Minnesota Liaison to the national organization SENG (Supporting Emotional Needs of Gifted Students). Her philosophy is grounded in the premise that all families have strengths, apparent or yet to be discovered, and her “work” is to empower, coach and support families to realize and maximize their strengths together. She is impassioned to bring this to fruition through a soon-to-be-published book to support parents and providers on teaching emotional awareness and regulation. PAALs – Minneapolis is now MCGT – Minneapolis! Welcome to a new school year! We are pleased to officially introduce Minneapolis MCGT PAALs (Parents Advocating for Advanced Learners). We are a parent group from various Minneapolis Public Schools, and have recently become a chapter of the Minnesota Council for the Gifted and Talented. Our mission is to engage and support families of advanced learners in Minneapolis, and to advocate and collaborate with MPS to ensure the needs of all advanced learners are consistently being met. As a chapter of MCGT, we provide opportunities to network and share resources, to work with the schools, to hear speakers on various gifted and talented issues, and to generate and promote enrichment activities for gifted children. PAALs started in 2017 as a small group of parents concerned with the lack of programming for advanced learners in MPS. We quickly discovered that, for many families, it means tough choices about where to send their children to school. We want to help make MPS the best option for Minneapolis families. A district-wide, fully functioning K-12 AL program is critical to meeting that goal. Over the past year, PAALs reached out to MPS leadership and engaged in several productive meetings and conversations with MPS leadership. MPS is taking steps to address the gap in AL programming, and PAALs will continue to work with the district to ensure the needs of advanced learners are being met in all schools. Minneapolis MCGT PAALs will host events throughout the upcoming school year, such as speaker events, meetings, and networking opportunities. Stay tuned for the announcement of our first speaker event! In November, Minneapolis is hosting the NAGC Annual Convention (National Association for Gifted Children). Visit www.eventscribe.com/2018/NAGC/ for more information and to register. This is an enormous opportunity for Minneapolis families of gifted children to connect with experts and families from all over the state and country to discuss and learn about topics relevant to gifted children. Finally, please consider joining MCGT, and the Minneapolis PAALs Chapter – it is a wonderful resource for families! Visit mcgt.net to sign up. Family membership is $35 annually, and a portion of your membership fees go directly to support chapter programming. Join us for the first MPLS chapter meeting of the 2016-17 school year. Saturday, September 24, 9:30-10:30 a.m.
Carol Muleg, President of Minnesota Council of the Gifted and Talented and SENG facilitator, will be joining us to discuss strategies for self-advocacy. It is within this context of self-advocacy that we will also be discussing the MPS Talent Development and Advanced Learner program. Theresa Campbell, middle grade talent development and academic district program facilitator, and Alyssa Polack, elementary grade talent development and academic district program facilitator, from the MPS Talent Development and Advanced Learner Department will also be joining us. Theresa and Alyssa will describe the program, the identification process, service levels, teacher training, and who to contact to see how the program is implemented in your community school. If you have questions about the program, about how it is structured, and who oversees it in your community school, please join us. Childcare will not be provided at this event, but kids are welcome. I’ll have games, and drawing materials, and they can always browse the library stacks upstairs. The room is quite large. Tammie Stewart from the Northwestern University Midwest Academic Talent Search (NUMATS)/Center for Talent Development (CTD) will be giving four presentations in the Twin Cities area. Tammie is the Outreach Manager for the CTD at Northwestern University. Tammie will provide information on exciting opportunities for Minnesota and Wisconsin youth in grades 3-9 through the NUMATS academic talent search program, plus need-based scholarships for high ability learners in grades 7 -13. The presentation will provide information on the NUMATS program, including a description of the program’s specialized enrichment and resources available for advanced learners, above-grade-level testing, benefits of the program, how to register for the program and scholarship opportunities. The Jack Kent Scholarship program, the Young Scholars Program which accepts applications from high achieving 7th graders and the College Scholarship program which accepts applications from high achieving 12th graders. New deadlines and related information for 2015-2016 will be shared at these events. Discover the many advantages NUMATS kids experience as they progress through middle school, high school and apply to college. When: Monday, October 26, 2015; 6:30 p.m. – 8 p.m. When: Tuesday, October 27, 2015; 6:30 p.m.-8:30 p.m. When: Wednesday, October 28, 2015; 7:00 p.m. – 9 p.m. When: Thursday, October 29, 2015; 6 p.m.- 7:30 p.m. Think 'Possibility' Adventist ReviewApril 27, 2019, is the annual designated Special Needs Awareness Sabbath.